Even when Santa’s sleigh team is passing around a winter cold, they still have loads of fun to deliver. 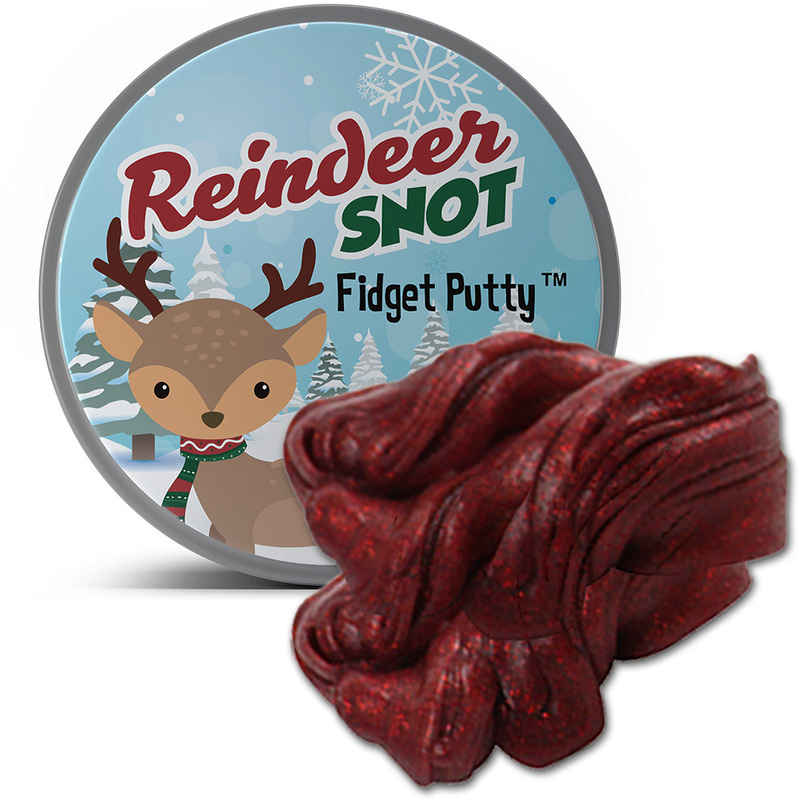 Likewise, Reindeer Snot Fidget Putty is the sparkly, red stress putty that will bring comfort and joy to boys and girls of all ages who’ve seemed to misplace their holiday cheer in a pile of Christmas preparations. If holiday overwhelm strikes, don’t freak out! 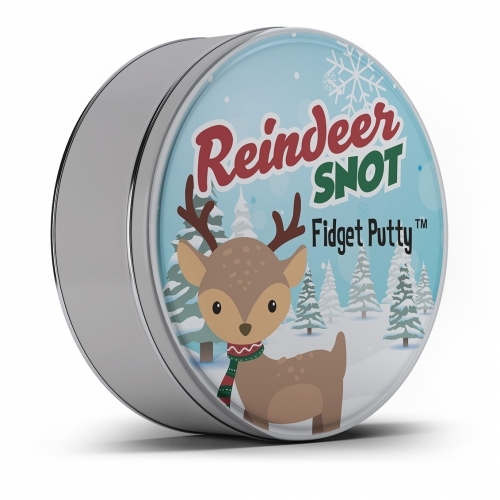 Pick out some Reindeer Snot Fidget Putty and chill like Blitzen. A handful of deer boogers can work wonders in sticky situations. Reindeer Snot Fidget Putty is perfect for anyone who has a history of overdoing the Christmas cheer until they grinch out on everyone. 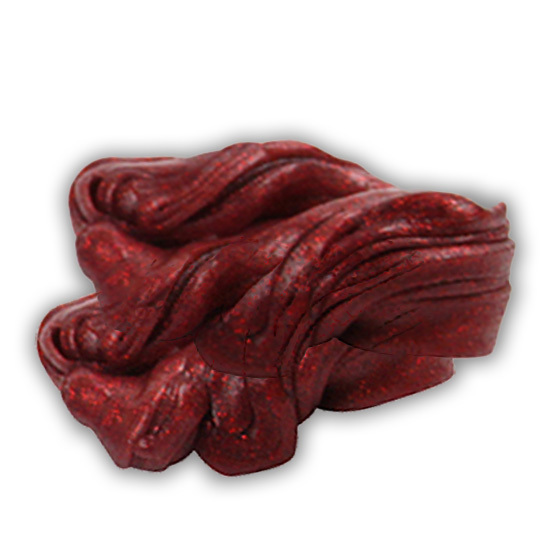 If the stress of the holidays gets to be too much, just grab it, pull it, and squish it until you’re a happy elf again. 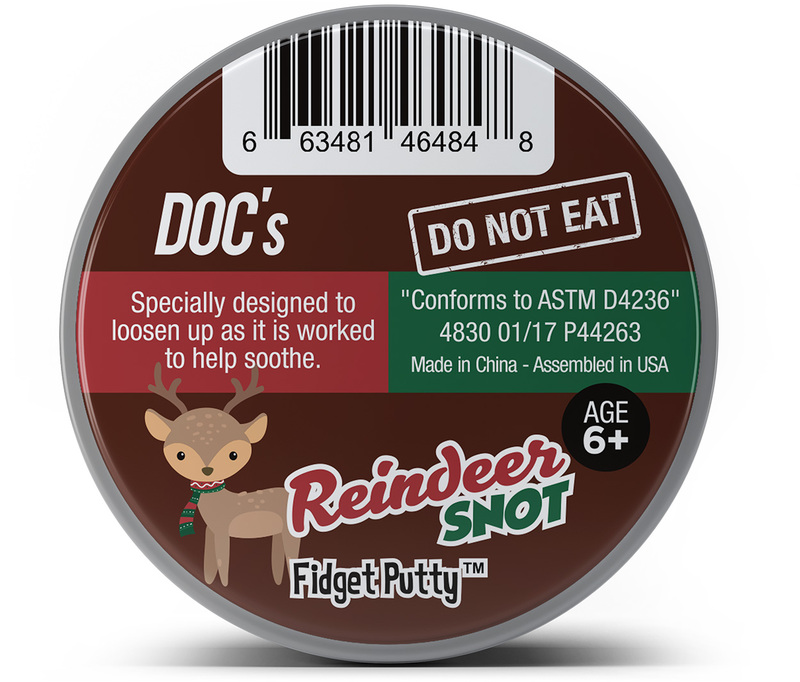 Reindeer Snot Stress Putty is a wonderful surprise addition to care packages, gift baskets, Christmas stockings, or teacher gifts. Share the warmth of the season while delivering a hearty holiday laugh.